Popcorn in a brown sugar-curry coating makes a sweet, spicy snack. Gluten & dairy free & vegan. 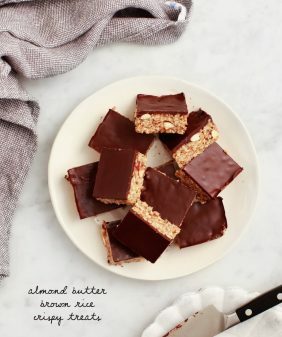 Unique 10-minute treat for parties or your next movie night. Since starting this blog a couple months ago (feels more like a year ago), I’ve “met” some of the nicest people and have received the most encouraging feedback. I honestly thought my mom would be our only reader for the first few months (hi Mom), so the idea that people are actually reading and commenting, and tweeting (lord knows that was quite the learning curve for me) has made me feel just so welcomed. One of the first people to reach out to me the week we launched the site was Kate from the blog Cookie + Kate. 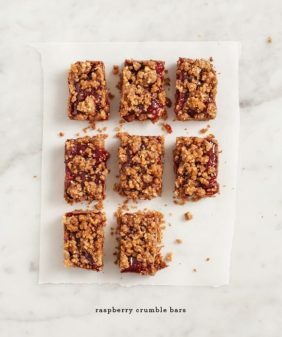 I’ve been following her ever since and recently she launched this really great project called The Food Matters Project where a group of people all cook through Mark Bittman’s The Food Matters Cookbook together. Each week someone chooses a recipe, everyone creates their take and then posts it on the same day. True to form, I put off my “homework” until the night before, so late last night Jack and I went to popcorn town… which turned out to be a super fun family activity. Jack did the popping, we mixed and matched a variety of toppings. We scorched a few pans, made a little mess… and the dogs did their part by taking care of the pieces that fell all over the floor. In the end the version we liked most (and burnt the least of), was a curry and brown sugar combo. A salty, sweet, spicy, Indian-flavored treat. For all the popcorn that was flying around last night, somehow this morning when I went to photograph it, this was about all that was left. Put the oil in a large, deep pan with a lid. Turn the heat up to medium, add 2 kernels of corn, and cover. When the kernels pop, remove the lid and pour in the remaining popcorn kernels. Cover and shake the pot, holding the lid on. Cook over medium heat, shaking the pot occasionally, until the popping sound stops after about 5 minutes. Meanwhile melt the butter and stir the brown sugar into it. (this helps the brown sugar stick to the popcorn). 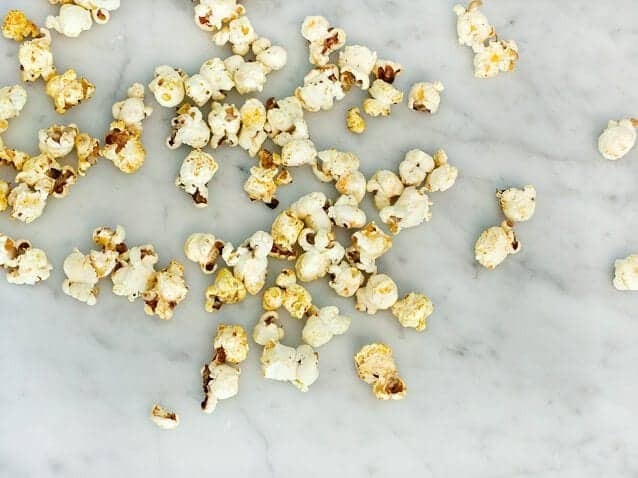 Pour the popcorn into a large bowl, drizzle on the melted butter and sprinkle in the curry powder, cayenne, and a good shake of salt. 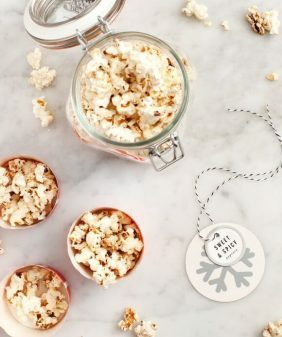 I seriously cannot wait to try your take on popcorn! So happy you’re participating in the project, Jeanine. I’m eager to see what you come up with next! Seems we were thinking alike! 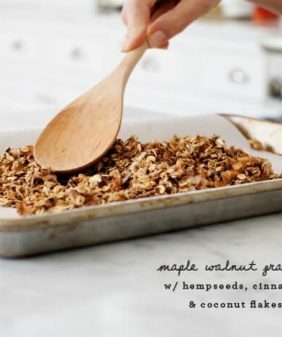 I’m going to try it with a little sweetener next time- I like the idea of spicy and sweet! Perfect combo – I love the addition of the brown sugar with curry and cayenne! Yummm! This sounds so good! I love popcorn with brown sugar, but brown sugar and curry, even better! I had so much fun making the popcorn too and will definitely be doing this way more often! I love curry and who doesn’t love brown sugar? I never thought of putting them together though…can’t wait to try it! Yum! These look wonderful! Always looking for new snacks. This sounds awesome! I am a huge popcorn fan – I usually say popcorn is my favorite food (though it’s neck and neck with cake if I’m honest). For some reason this made me think brown butter – I think I’ll give that a try! 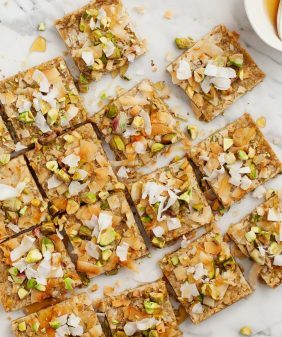 My friend brought a bag of this to a fundraiser garage sale for snacking, except that she used honey instead of brown sugar and added nutritional yeast, too. Added chopped roasted pecans…yum! 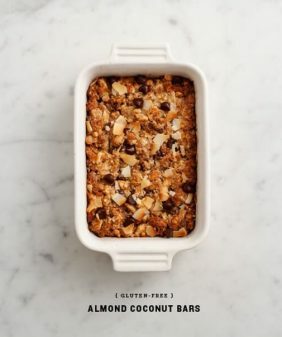 Love this recipe-thanks for sharing! made this for a movie night last night…my friends were basically licking the bowl once it was all gone!